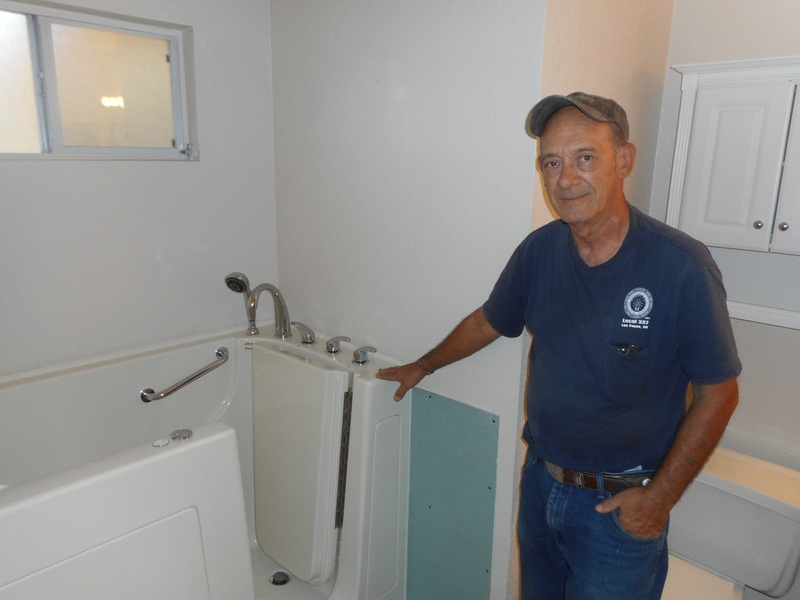 Here at Independent Home Walk In Tubs in Nevada, we understand your family's concerns about aging with grace and dignity in the familiar surroundings of your own home. For those who have become limited in mobility in the great Silver State of Nevada, our walk in tubs are your solution. Every model is equipped with 2 safety grab bars to make it easier to get in and out. Each model includes an extendable shower head that can be used as a stand up shower as well as a soaking tub. Because each Independent Home Walk In Tub is carefully constructed and meticulously tested, you can relax knowing we provide a lifetime warranty. With over 10 models and styles from which to choose, our Independent Home Walk In Bathtub experts will assess your family's specific needs, analyze your existing bathroom layout and recommend the best possible solution. Your free in-home survey price quote is guaranteed for 1 year. Independent Home Walk-In Tubs has earned a 5/5 star rating with Consumer Affairs. Walk-In Tubs truly help give those in need the ability to bathe more safely while still retaining their independence. For anyone suffering from the aches and pain of arthritis, the warm whirlpool water will bring welcome relief. Homeowners everywhere in Nevada are benefiting from the comfort, style and safety of their Independent Home Walk In Tubs. Our helpful and friendly installation experts are available across the entire state, from Reno, Carson City, Las Vegas, Henderson, Winnemucca and including many outlying areas. Our specialists at Independent Home Walk In Tubs in Nevada are happy to take your calls and answer all of your questions. Areas Served: Las Vegas, Canyon Gate, Paradise, Enterprise, Silverado Ranch, and more. Areas Served: Spring Valley, Green Valley, Henderson, Anthem, Boulder City, Nelson, and more. Areas Served: Overton, Moapa Valley, Bunkerville, and more. Areas Served: Reno, Carson City, Sun Valley, Fernley, Virginia City, Fallon and more. Areas Served: Spring Valley, Sunrise Manor, Winchester, Whitney, Crystal Springs and more. Areas Served: Spring Valley, Sloan, Rhodes Ranch, Mercury, Indian Springs and more.